Korean giant Samsung is going to launch the Samsung Galaxy Note 8 flagship device in the Galaxy Note series on August 23rd Galaxy Unpacked event. 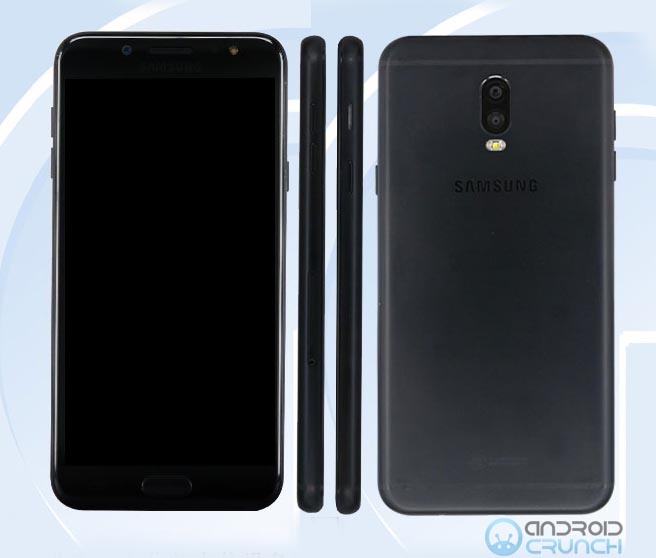 Looks like we are going to see the launch of the Galaxy C7 2017 very soon before the Galaxy Note 8 as the company has got the TENAA approval for the second variant of the device that comes with the model number SM-C7108 but has similar design like the SM-C7100 variant we saw in the TENAA listing previously. The TENAA approval listing however, doesn't have any specifications details of this model number but those will be available soon. It looks like the SM-C7108 will be the dual SIM variant of the device that will be available for sale in Asian countries with its launch. It has the similar design with a fingerprint scanner on the front and dual rear camera with dual tone LED flash as we saw with SM-C7100 variant. 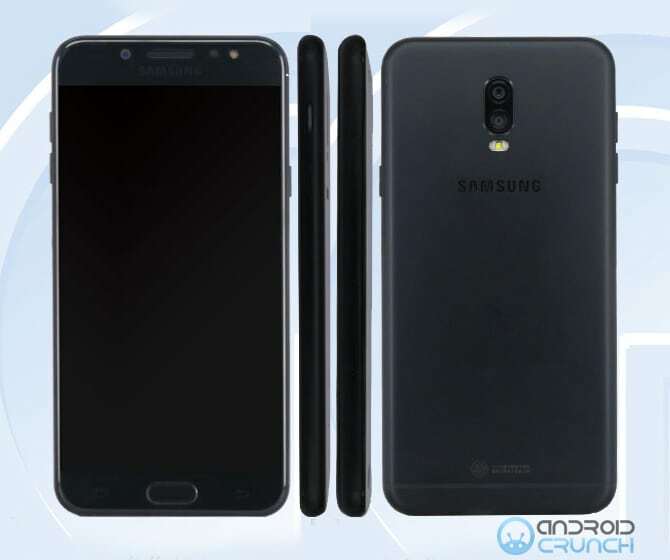 The Samsung Galaxy C7 2017 (SM-C7100) was spotted at TENAA with a 5.5-inch OLED Full-HD display with 1080 × 1920 pixels resolution and is powered by a 2.39GHz/1.69GHz Octa-Core processor. it comes with two variant with one having 3GB RAM and 32GB of inbuilt storage capacity while the second one having 4GB RAM and 64GB of inbuilt storage capacity. The device also supports a MicroSD card slot supporting up to 256GB of expandable storage. The device runs on the Android 7.1.1 Nougat OS out of the box and is expected to support Hybrid Dual-SIM option. It features a dual rear camera having 13-megapixel + 5-megapixel cameras with dual-tone LED flash and it also comes with a 16-megapixel front camera with LED flash as well. It is backed up by a 2850mAh battery and connectivity options available are 4G VoLTE, Wi-Fi 802.11ac (2.4 + 5GHz), Bluetooth v 4.2, GPS, NFC and USB Type-C. It measures 152.4 × 74.7 × 7.9 mm and weights 178 grams. A fingerprint scanner is available in the physical home button on the front. Color options available are black and gold. To recall, the Galaxy C7 was announced last year with a 5.7-inch Full HD Super AMOLED display with 1920×1080 pixels resolution and is powered by 2GHz octa-core Snapdragon 625 processor with Adreno 506 GPU and 4GB of RAM. Other specs of the device includes 32GB/64GB internal storage options, expandable storage up to 128GB via micro SD card, Android 6.0.1 (Marshmallow) OS, Dual SIM option, a single 16-megapixel rear camera with dual-tone LED flash and f/1.9 aperture, an 8-megapixel front facing camera with f/1.9 aperture, a fingerprint sensor, a 3300mAh battery with Qualcomm Quick Charge 3.0 feature and connectivity options includes 4G LTE, Wi-Fi 802.11 a/b/g/n/ac (2.4 + 5GHz), Bluetooth v 4.2, GPS and NFC. It measures 156.6×77.2×6.7 mm and weights 165 grams. it comes with Gold, Pink Gold, Silver and Grey color options.